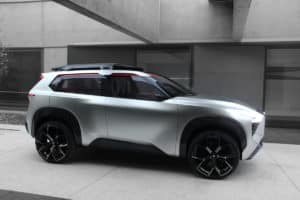 Nissan revealed the Xmotion concept, a design exploration for a potentially groundbreaking compact SUV, building on the company’s long history of cutting-edge crossovers and SUVs. “In the Xmotion concept, we explored the more rugged and powerful side of Nissan Intelligent Mobility. Bold and powerful forms and proportions are, upon closer inspection, contrasted with aspects of traditional Japanese craftsmanship expressed in a contemporary way,” said Alfonso Albaisa, senior vice president of global design at Nissan Motor Co., Ltd.